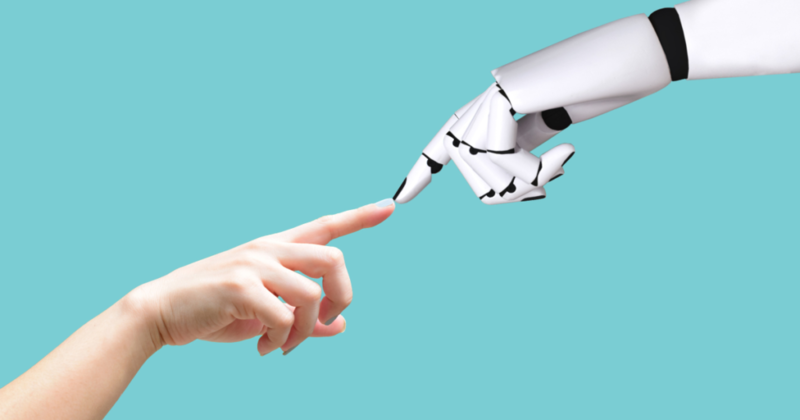 Lights-out testing virtually eliminates the need for any human intervention for executing end-to-end tests by automating the execution process. This is very important when you wish to execute all your end-to-end tests as part of your regression cycle and anything that needs a human intervention will make the whole cycle a nightmare. Lights-out testing can not only save human efforts but also time and cost. 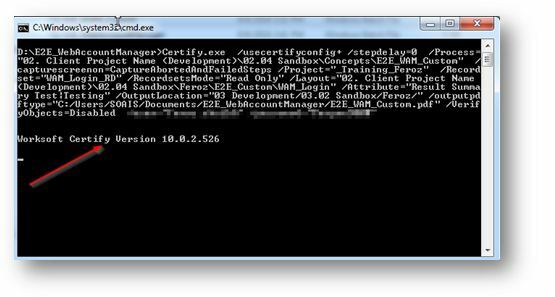 Certify allows you to export a process to a MS-DOS .bat file that can eventually be executed by opening the .bat file. 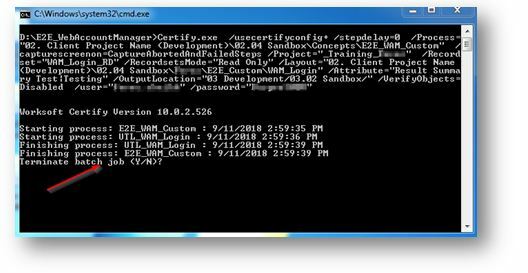 This will run the process automatically without opening Certify UI. This file can also be triggered through windows task scheduler. 1. In the Configuration window, uncheck the Stop/Pause on Failure in Run Setting and Click on Export Button as shown below. 2. After clicking on export button, a window“Save As” pop up will appear. 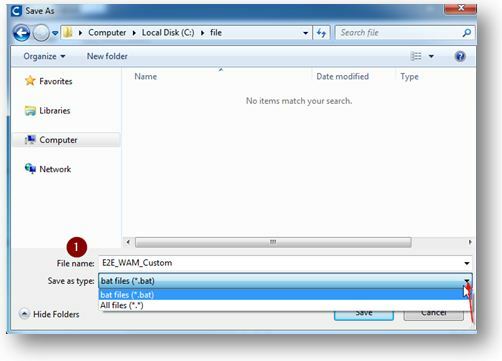 Input the File name and choose the Save as type to bat file(*.bat). 3. When you open the .bat file, delete the first and the last para. 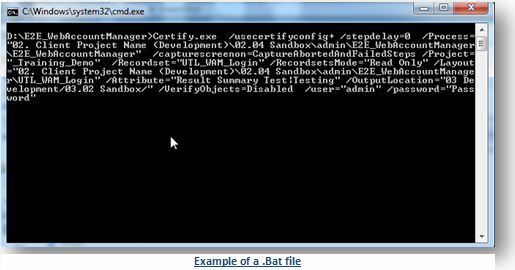 This is done to make the .bat file open independently, else you may need to open the .bat file through MS-DOS command prompt with arguments. Make sure to specify User Id and Password as shown below. 5. To run the .bat file, you just must double click the .bat file. 6. 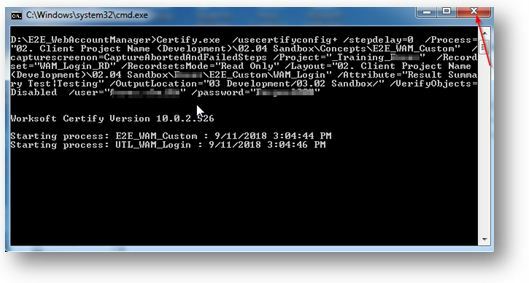 Windows command line popup will appear and will display the Certify version. Note: If your .bat file has missing info, the popup will close immediately. 7. After the execution completes, the command prompt will automatically close. 8. You can view the result in the Result navigation taskbar in the Certify interface. Execution reports can also be generated automatically after a .bat file execution completes.1.For generating a report to a specified location after the batch execution, we must specify the /output pdf parameter in the .bat file. 2. By default, the report generated after a batch execution is always “Details” report type. If you wish to change the report type to “Summary” or “Record set”, you must include another parameter /output pdf type in your .bat file. 2. To abortabatch execution, click on “X” to close the command line window. Exporting a batch file for all the processes is time consuming. We cannot directly run a batch file on other remote desktops. It’s difficult to trigger an email automatically once the execution finishes. Note: Batch execution in Certify should be used to test your process if it is light-out ready and may not be a good option to use them for regression especially if you have a big bank of test cases. 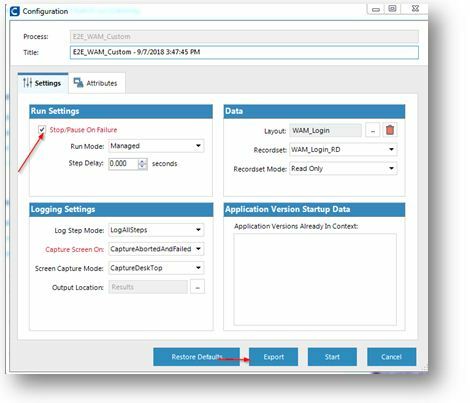 Worksoft Execution Manager is the perfect solution for lights-out testing. To overcome the limitations of batch execution,Worksoft has introduced Execution Manager.This provides a complete solution to manage automated lights-out testing for Certify Processes. We can schedule and manage remote executions for Worksoft Certify processes. Tests can be run on demand or on schedule.